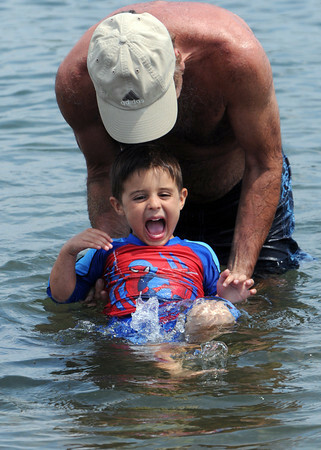 Brandon LeVille screams as his grandfather Norto Silva tries to teach him how to swim at Dane Street Beach. They are from Peabody. Photo by Ken Yuszkus / Salem News, Monday, July 8, 2013.